With world attention fixed once again on the Crimean Peninsula, again due to provocation from Russia, let’s remember, as U.S. Congressional Republicans use the occasion to heckle from the sidelines—if only we’d been more belligerent, aggressive, if only more foot-stamping from across the ocean, then maybe 4-500 years of Russian foreign policy would’ve been reversed, and they’d act against type—that a similar affair happened some years ago. What started as a territorial dispute eventuated in a World War in which America was very nearly embroiled. Televised busts will probably be walking the public through much of that history in the coming weeks. Perhaps they already are. I wouldn’t know, having killed my television 15 years ago on the advice of some bumper stickers. It will be flash-summary, of course, full of posturing and bravado, and little in the way of scholarship. I want here only to point out that whatever else the Crimean War gave us (and it gave us a few things including the first tactical use of both railroads and telegraphs) it also gave us much of our finest war poetry. Not that I don’t appreciate Melville’s and Whitman’s civl war verse. I do. I think that conflict’s literary contribution, however, (still largely unsung) took the form of hymnody, private correspondence, and political speech. And I appreciate Winifred Owen’s work on WWI, especially Dolce et Decorum Est, which I regularly teach in my History of Poetry classes at UW. And Yeats on Ireland and Auden of WWII, and even, weirdly, much of the Taliban poetry on the War of American Aggression or Operation Iraqi Freedom, depending on whose branding you prefer. One needn’t agree with their politics or methods, but their rebellious, anti-Western verse is stirring stuff. None of it has anything on the Crimean War. I don’t mean to march through it all here. 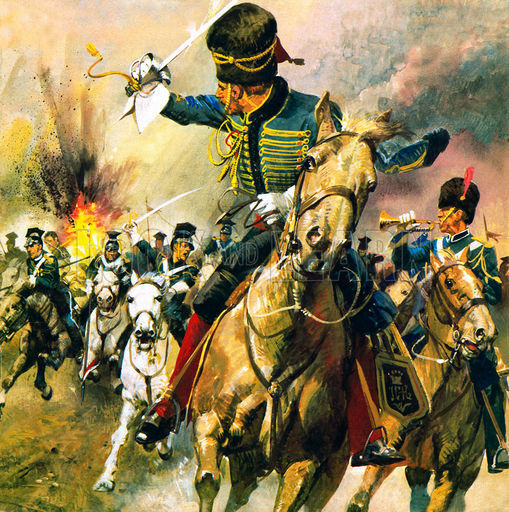 Most readers know Tennyson’s Charge of the Light Brigade, an account of a military disaster (due apparently to a misheard order) rendered as a heroic act of pure bravery and self-sacrifice. For nearly 100 years, it was the most memorized poem in the language. 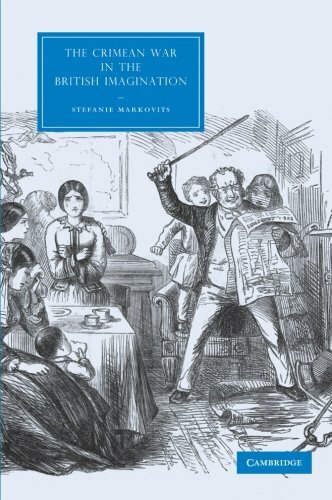 Much of the Crimean War poetry has been analyzed and collected by Stefanie Markovits and Orlando Figes. Both mention, though neither of them dwell on, my favorite Crimean War poems: Sonnets on the War, by Alexander Smith and Sydney Dobell. Smith and Dobell are two of my favorite poets anyway, members of the Spasmodic School, writing in Britain in the 1850’s. After each writing astonishingly successful first books, they turned to this little collaborative book of sonnets, neither taking credit for whose sonnet is whose, or whether they were all written together somehow. Our deeper human nature lies in such. Doth victory make an infant’s smile the less? In the late beam--he warm and basking lies. Each hath his separate rack of sore distress. We only have our true hearts and our souls. We draw refreshment when the fight is hot. I think that’s just great. The poems are patriotic, but not boosters, inspiring, but not hawkish. More importantly, they’re honest. Tennyson’s poem asks “When can their glory fade?” The answer is: it fades as soon as one finds out that 600 wasted their lives because a general was ineffectively in command of them, and/or their testosterone charge short-circuited their hearing and broke the chain of command. “Honour the Light Brigade,” we are therein commanded. It’s all one-sided. Smith and Dobell’s poem acknowledges both “brave success” and “dark failure,” which is necessarily the sum of any military engagement. It acknowledges too the uselessness of language as a cure for pain (brave for poets, but again: honest). “Each hath his separate rack of sore distress./ No hand can give an alms, no power consoles,” the poem admits. How much better if we responded to the pain of other’s more often with that kind of realism? I write here and there about the Spasmodic poets, and how, though sometimes studied for their jarring popularity in the mid-Victorian era, they deserve a broader audience for the sheer quality of their writing. Sonnets is a good place to start. Read the whole collection here.